Have you found misleading or false content about your business online? Some people say that once content is online, it’s there forever and there’s nothing you can do about it. That’s not necessarily true. Removify is here to help you regain control over your online representation by taking harmful content offline. Whether it’s on Google, Glassdoor, TripAdvisor or anywhere else, it’s imperative that you get it removed before it harms your company. If you have already been hurt by harmful content, don’t worry. We provide specialized content removal services that ensure any negative effects are mitigated quickly. The internet can be an unfair place. While people are free to express themselves, that doesn’t mean what they say is fair or reasonable. That’s where Removify comes in. We take a diverse range of content down from countless websites and platforms, restoring consumers’ faith in your business. Before, issues customers had with businesses were dealt with in person. Now, these problems are primarily aired online. Most commonly, this is done by posting bad reviews. 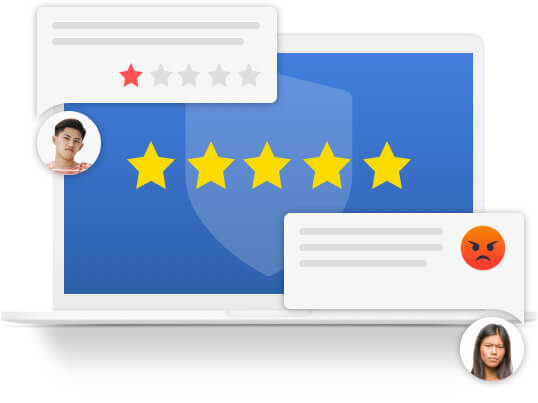 If your business has been unfairly targeted by negative reviews, we have the tools to remedy the damage done to your reputation and your sales figures. Reviews are more powerful than ever before. A monumental 90% of consumers read online reviews before even visiting a business, making false or unreasonable reviews highly damaging to your reputation. Before, word-of-mouth was king. Now, reviews are the new word-of-mouth. Reduce the damage these reviews do to your company and get them taken down with Removify’s review removal services. We work with speed and effectiveness across a wide range of websites and platforms to get your bad review removed, wherever it may be found. We put the power back in your hands, giving you a fairer online representation of your business. Most of us have Googled ourselves at least once. But what happens when you find an unwanted result? 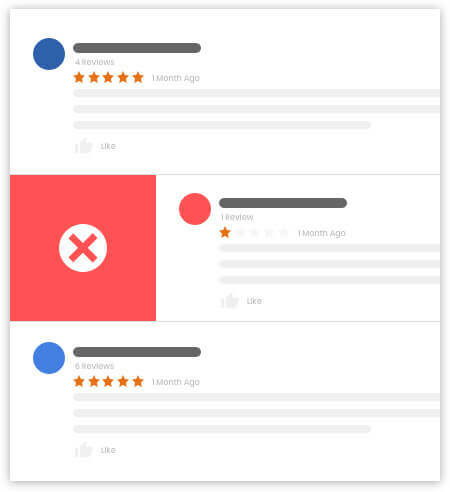 Just like bad reviews can hurt a business, so can negative Google results. It’s not hard to imagine, considering these cases are often a whole URL rather than only one review on a website. 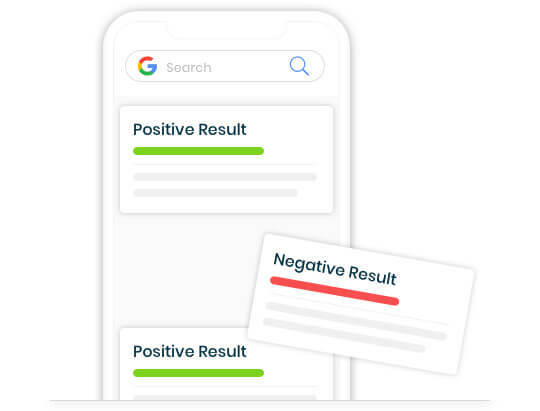 Statistics show that businesses risk losing 22% of customers if a single negative article features on the first page of their search results. It’s distressing to find an entire URL exists to cause trouble for either yourself or your company, but remember, you are not powerless. It can seem daunting to try to get content taken off Google, but with us, you don’t need to worry. Our Google result removal services are risk-free, because if we don’t achieve your goals, you don’t need to pay. Across a range of platforms, our content removal services can take your unwanted content down fast. We take your unique circumstances closely into account, working tirelessly to deliver real results – not just promises. Each business deserves the chance to be represented with fairness online. Unfortunately, the advent of online trolling and “keyboard warriors” has meant this chance gets taken away on occasion. We are here to take away the uncertainty, fear and loathing that negative content brings to companies and those within them. Don’t let trolls and keyboard warriors take away the trust of your target audience, customers and clients. 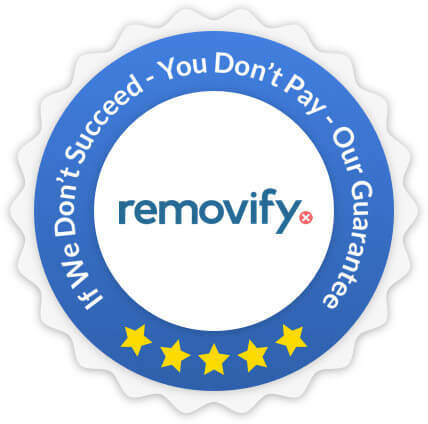 Take back the power with the risk-free content removal specialists, Removify. If we are not successful in accomplishing our mission, you won’t pay. Restoring your reputation has never been so simple! The person I deal with Heather is very helpful, always keen to help and providing solutions to our media needs. The staff is very helpful and efficient. So far is great. I appreciate the fast feedback that I get every time that i have some doubts. Zoe has been super patient with all my demands and was of great help. She is very professional and delivers on time. Thank you. 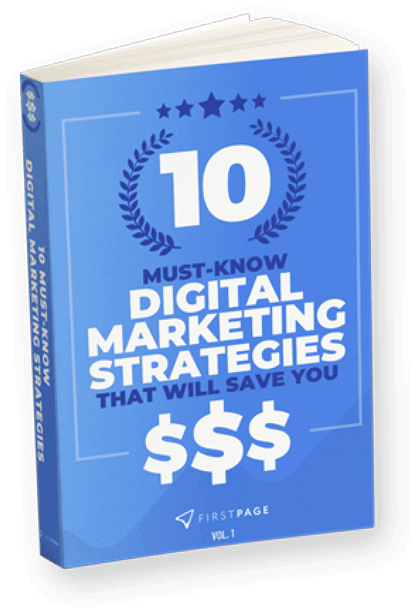 Don’t let negative content affect you any longer. Get it removed with us!